The Mars Science Laboratory team's test rover "Scarecrow," is shown. 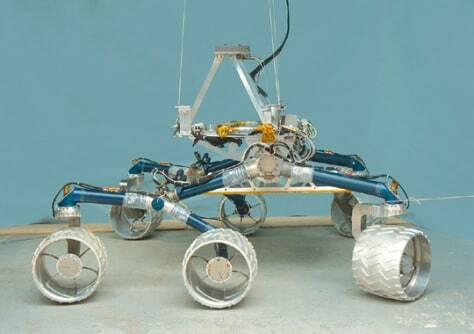 The rover is named such because it's still missing its computer brain. Cost overruns and technical problems may delay or even cancel the NASA Mars rover project.